Every APK2 cushion we build is tailored to the specific requirements of our clients. We have 20 years of experience in designing the most appropriate systems for difficult seating challenges. Our cushions have produced remarkable healing results for clients with all stages of pressure sores including severe stage 4 sores. The APK2 wheelchair cushion has even helped reduce recovery time for patients after muscle flap surgery! 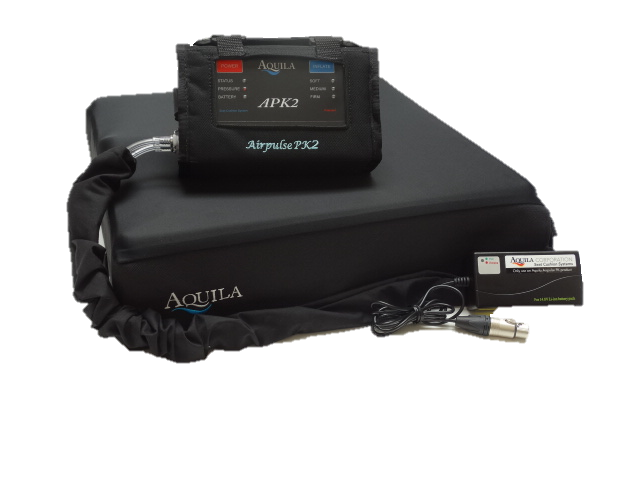 Infinitely more effective than static cushions and the easiest method for regular pressure relief, the Aquila cushion is the smart choice. Airpule PK2 has been assigned HCPCS code E2609 for reimbursement from Medicare and other insurance. The patented APK2 is a fully-automatic alternating pressure relief wheelchair cushion. 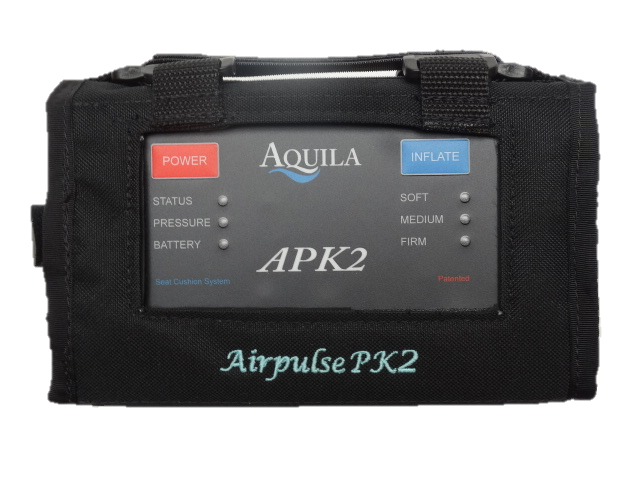 The primary function of the APK2 is to help treat and prevent pressure sores (pressure ulcers) by providing the ideal healing conditions and performing automatic pressure relief. It can be used on manual wheelchairs, powerchairs, or regular sitting chairs.